The Viveport platform expands HTC Vive’s applications inventory and will include virtual reality content related to education. Today at VRLA, the world’s largest virtual and augmented reality expo, HTC Vive revealed its new catalog of virtual reality content called Viveport. The first app store exclusively for VR content, Viveport seeks to deliver a diverse set of apps to Vive users and other VR customers across a wide range of categories, including education content. Viveport builds on the success of Steam, an entertainment platform from HTC Vive that includes more than 3,500 games and more than 10 million gamers. Steam will continue to be the go-to place for HTC's gaming content, but Viveport serves as an app store for topics like education, art, design, travel, music, fitness, sports and more. Viveport will be available in Vive headsets, web browsers and as a PC and mobile app. “We believe equal access to virtual reality experiences will make the world a better place; enhancing our daily lives and the way we connect with everything,” said Rikard Steiber, senior vice president of Viveport, in a news release. Viveport is currently live in China and will launch globally this fall. A developer beta will be offered later this summer, according to the company. “Our mission is to unleash human imagination from the limitations of reality, and Viveport will be an important cornerstone in democratizing access to the world’s most diverse selection of immersive experiences,” said Cher Wang, CEO of HTC, in a news release. 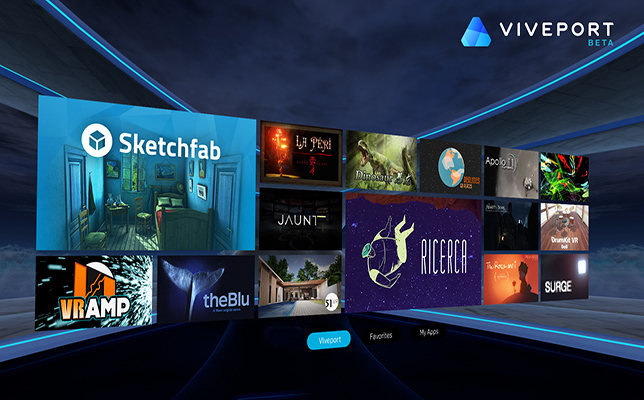 Developers can register today on the Vive site.